Any fresh or romantic idea pops up from a good film, book or any form of cultural manifestation may be inspiring, hilarious or moving, but it doesn't mean it must be repeated in real life. We live on planet earth, deal with everyday problems and manage to go through an ordinary life. Throwing pebbles in a beautiful lake is not the answer on deciding about our home security and try to fly like Superman to reach an open window is not the solution to a house lockout. We must follow our own rules in order to keep safe, make the right decisions, put our lives in order and ensure the safety of our families. Stop answering the door without identifying who is behind it. 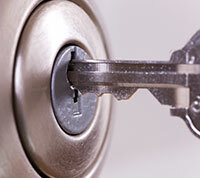 There is a reason you installed security door locks, which are useful 24/7. Don't leave the ignition car key on the engine just to step to the convenience store, especially if you have a baby sleeping in the back seat. If you hear noise in the yard late at night, don't open the door to search around yelling “who's there? 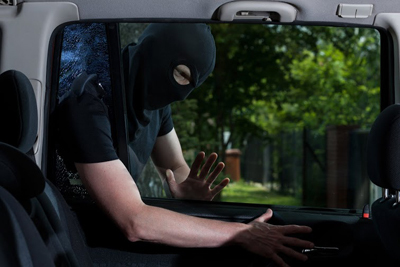 Who's there?” On the contrary, make sure your door locks are properly locked. When you are leaving on a vacation, don't give details on the answering machine. If someone is throwing pebbles on your window, don't open it. Make sure to have the locks replaced next morning. Teach your kids to refrain from opening the front door without your presence. If you think it is safe jumping from the neighbor's balcony to yours just because they seem to be close, don't attempt it because you are not James Bond and since you are not Tarzan either, avoid the nearest tree, too. If you insist to play pretend games, bring to mind a scary movie in which people's lives were endangered because they ignored lock replacement and left all windows open.